Translation is a much needed activity in modern times. It bridges the gap between different worlds, different cultures and different mentalities. It unites people and helps them find a common language and a common vision. Translation is a difficult yet rewarding process that calls for real professionals with a wealth of experience in translation industry. All-Translations Company provides quality translation services in practically every field of human activity be it medical, technical, juridical, legal or scientific. We help to deliver your message and ideas to the target audience, to understand and be understood by the others. For the recent 10 years All-Translations Company has been providing a professional translation service across the US, Canada and Europe. We have established a long-lasting relationship with many clients and leading companies in the world. The main advantage of our translation company is a combination of high quality and reasonable prices. That is why many of our customers order our translation services on an ongoing basis. Our translation company guarantees the complete privacy, so you can trust us your important business documents or personal letters. We always fulfill our obligations and clearly observe all the agreements and conditions regardless of their scope and complexity. 1.Professionalism. 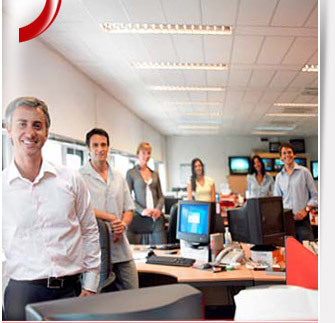 We employ hundreds of accredited and certified translators and interpreters. Their considerable knowledge and wide experience ensure that you get the highest quality translation in practically every subject area. All-Translations Company complies with the code of Professional Ethics and Business Conduct, strictly observed among translation companies, and does not disclose confidential information to third parties. 2. Quality. Every translation project goes through a multi-tier quality control process. This implies an ongoing monitoring and verification to ensure that your project meets all the translation requirements including high quality, use of appropriate terminology, and consistency throughout the document. 3. Availability of translation. It is easy to make oneself lost in this ever-changing world of words and meanings. But our translation company is always there to give you a helping hand and guide you throughout the entire process of translation. We work with different language pairs and provide translation into the most widely spoken languages including English, Spanish, French, German, Italian, Arabic, Russian, Polish, and Swedish. Feel free to browse our website for more information about our translation services or our translation company. Use our quote form to order translation for your language pair.